Everybody is looking for an edge – something that provides that extra push to get him or her to a new level. Athletes take supplements and endure extreme training. Soldiers incorporate rigid disciplines and subject themselves to seemingly impossible circumstances – all to get an edge on the enemy. Well when it comes to your dental health, you don’t have to recreate the painful scenarios just mentioned, but you can still get an edge when it comes to your oral wellness. Your dentist says that one of your secret weapons is mouthwash. Read on to learn more about what it can do to enhance your oral hygiene. Oral hygiene involves the daily routines that you participate in to fight the onslaught of harmful bacteria that can cause havoc in your mouth. They are always present and seek to feed on any leftover food particles after you eat (especially sugars). As these bacteria grow, they can form a sticky substance called plaque that clings to the teeth and gums and encroach your enamel with the acids that they emit. These are the enemies that you are up against when you practice oral hygiene. Mouthwash as a Form of Oral Hygiene? 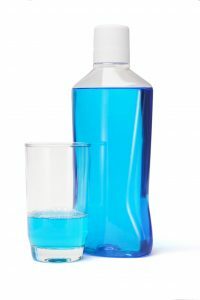 Mouthwash serves as an excellent form of oral hygiene but should also be viewed as a supplement, meaning that it’s not meant to be used as a foundation of your regimen to clean your mouth, teeth and gums. But when it’s allowed to play its intended role, it’s a powerful weapon in the fight against bacteria. Brushing Your Teeth – Brushing your teeth and flossing are of equal importance, but we’ll start with the former. It uses the toothbrush to apply pressure to your teeth to agitate and remove leftover food and bacteria. Flossing – Flossing then goes into the areas that your toothbrush can’t reach – between the teeth – to remove the remaining bacteria and plaque that would otherwise remain undisturbed. Healthy Eating – When you make healthier food choices that include more naturally occurring items like fruits and vegetables, you provide a healthier environment in your mouth where bacteria can’t flourish. Mouthwash – Not to be discounted because of its position on the list, mouthwash holds great benefits. It helps to keep your mouth moist, remove bacteria and freshen your breath. All of the items listed above feed on each other. The ultimate scenario is one where you actively engage in all of them. Then you will unlock doors to a level of oral health that will leave you and your dentist thrilled. To learn more about how you can maximize your total wellness through improved dental hygiene, reach to your dentist in Longmont to schedule a visit and enjoy having a fresh and beautiful smile. Dr. Dan Maurer received his Bachelor of Science degree in Finance from Trinity University in San Antonio. He would later go on to earn his Doctor of Dental Surgery degree from the University of Colorado School of Dental Medicine in Aurora, Colorado. Dr. Maurer practices at Longmont Complete Dentistry and can be reached for more information through his website.